Do You Want Heated Floors? | Carroll Plumbing & Heating Inc.
Do You Want Heated Floors in Your Home? 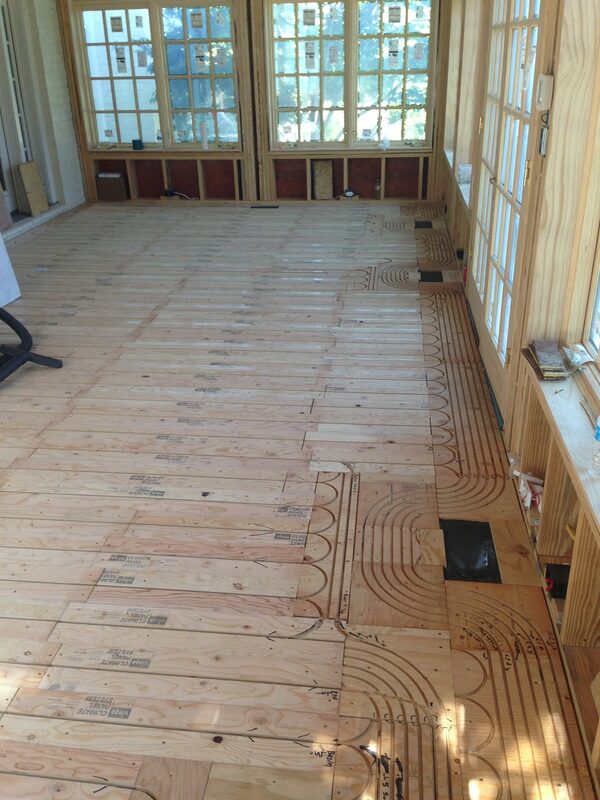 Radiant floor heating is a term not too many are familiar with, but it is a major amenity! Radiant floor heating essentially means being able to heat floors in your home, but it gets better. Not only are the floors you heat in your home keeping your feet, and anything else that touches the floor, nice and warm but it can also be adjusted to apply heat more directly places you are more often. Kitchens and bedroom become comfortable heated areas and closets, bathrooms, and other smaller areas are heated only to the degree that you’re using them. 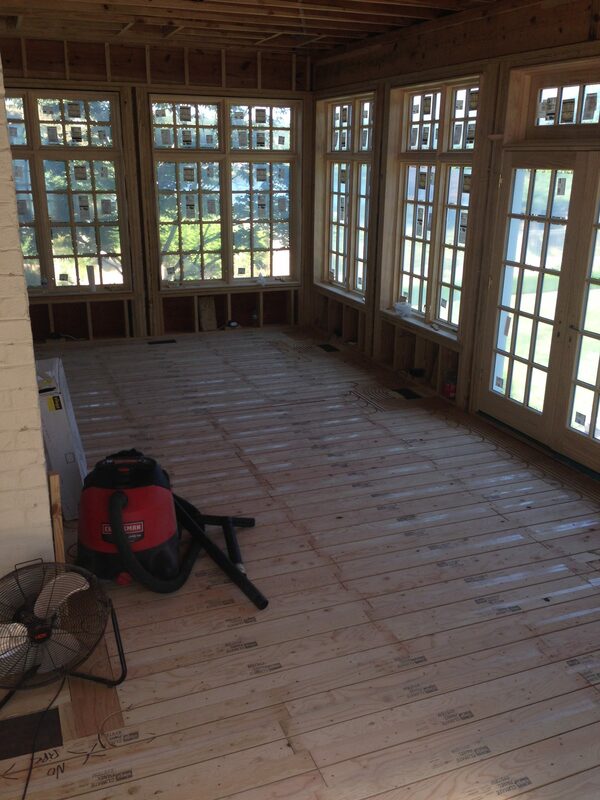 So now that you’re probably interested in getting one of these done for yourself you might be thinking; how does it work Luckily for our readers we recently had the opportunity to install a state of the art radiant floor heating system in a home. Check out the photos below and see more of the construction of this simple but luxurious option in a home. 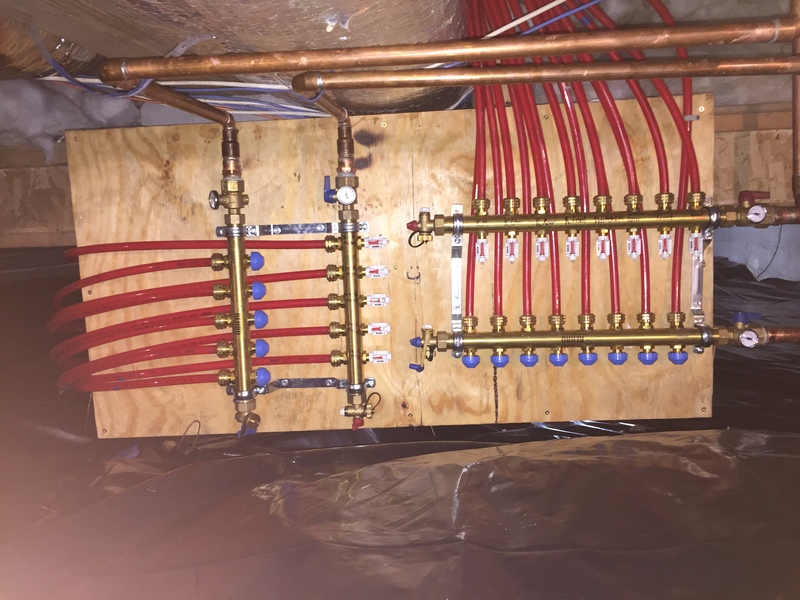 Using a cross linked polyethylene tubes known colloquially as PEX tubes, water is heated and then distrubuted through the PEX tubes that are installed under the floor. 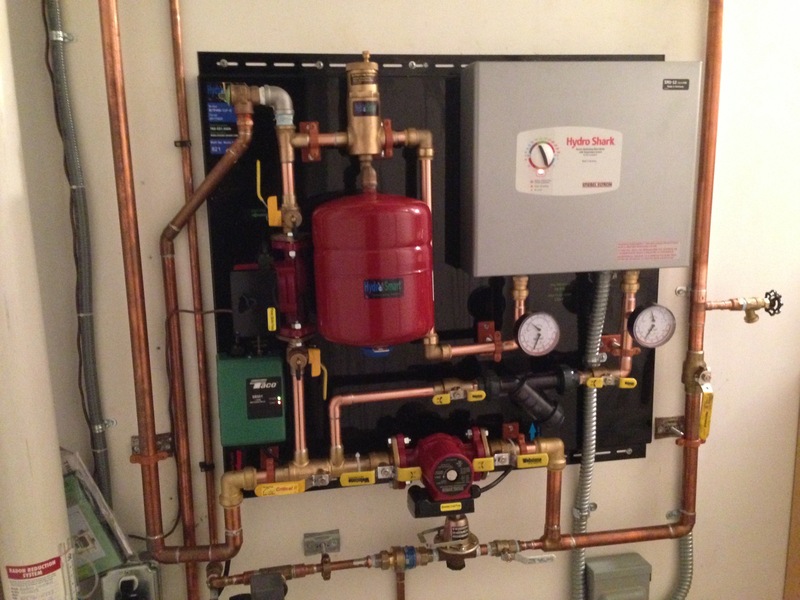 In addition to the tubes under each floor tile you’ll also need to warm the water with a heat pump, manifolds, and of course a control system to manage the heated floors. If you’re interested in adding radiant floor heating to your own home give us a call today and let our experienced technicians install your heated flooring with no hassle!